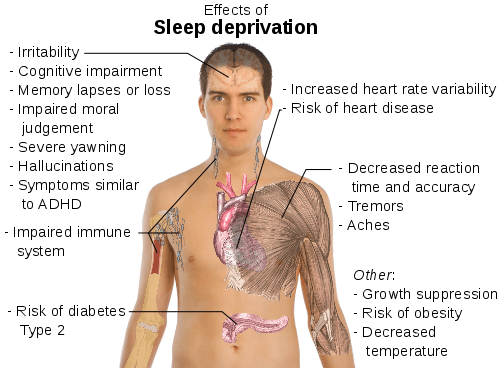 For a small group of people, seven or eight hours of sleep per night is an unnecessary luxury; they are the short sleepers, night owls and early birds at the same time. You probably know one or two of them – they pretty much always go to sleep somewhere after 12 and wake up earlier than 7 without an alarm clock. They don’t rely on coffee or afternoon naps, and are usually full of energy, ambitious and optimistic; the are the sleepless elite, and many myths revolve around them. Nobody knows exactly how many short sleepers there are, but most definitely not as many as one might be tempted to think. “There aren’t nearly as many as there are people who think they’re short sleepers,” says Daniel J. Buysse, a psychiatrist at the University of Pittsburgh Medical Center and a past president of the American Academy of Sleep Medicine. For every 100 people who believe they only need about 5 hours of sleep, only five of them actually need it. For the other 95, we’re probably talking about long term sleep depravation, a chronical problem which can lead to a number of conditions. It’s estimated that about one-third of US adults get less than the 7-8 hours of sleep they need. Some studies suggested a really interesting thing about short sleepers, that they suffer from a slight form of mania – hypomania. “These people talk fast. They never stop. They’re always on the up side of life,” says Dr. Buysse. He was one of the authors of a 2001 study that had 12 confirmed short sleepers and 12 control subjects keep diaries and complete numerous questionnaires about their work, sleep and living habits. There is currently no medically accepted way for one to teach himself to become a short sleeper, despite numerous reports and more or less documented cases. But by studying short sleepers, researchers believe they can somehow understand why the necessary amount of sleep time varies so much from individual to individual. 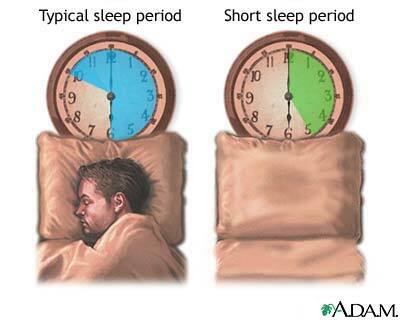 It is currently believed that a short sleeper pattern emerges since childhood, and the pattern continues throughout the years, which can be a serious but unnecessary source of concern for family members and friends; short sleepers should not be confused with insomnia, in which basically a person has trouble going to sleep or staying asleep. Short sleeping also tends to run in the family, so there is some genetic research being conducted on the issue too. Hopefully, in the future, we will be able to determine with a decent approximation just how much every person needs, which will go a long way to a healthy and productive life.